My first Water Test as Manager, certainly in at the Deep End! I am reliably informed that it was the largest Water Test ever at Grangewaters, 65 tests undertaken over the weekend. When accepting the role, I requested the support of a Scoring Steward, whilst there have been many plaudits for me, I must say a very big Thank-You to Amanda Stewart for keeping everything moving smoothly over the weekend itself, but also to Tina Roberts, who had left everything orderly to enable me to pick up where she had left off after years at the helm. Thank-you both. Saturday was unfortunately beset with heavy rain showers for most of the day. 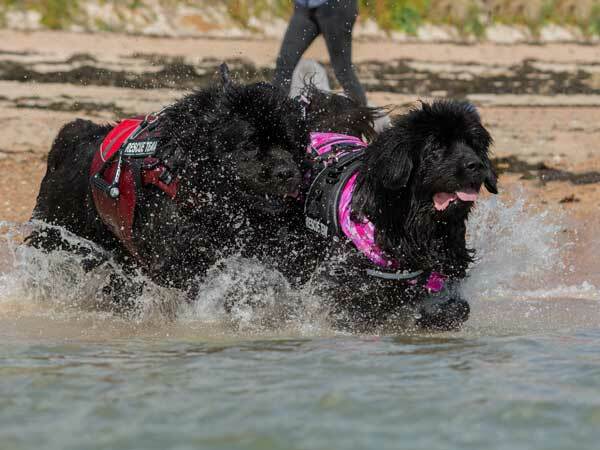 Even so, everything managed to go to plan, we agreed to split the A section as there were 26 dogs to swim, and thus enabling us to conclude the day at a sensible hour. Special mention must go to those that travelled some distance purely to undertake an A test. We had visitors from East Anglia, Lincolnshire, Southampton and Devon � well done � a tremendous effort, thank-you for your support. Sunday was by far a quieter day, and it was good to see the sun shine. Hopefully we managed to get all of our visitors away in good time, and before the Dartford Bridge closure which was due at 10pm that night! With so many tests over the weekend, I must not only thank the Grangewater Stewards, but also some of our guests who so kindly assisted to ensure we kept everything moving along. All of our Judges worked well together, and with me, and some even stepped in only on the day to ensure we could both Split A, and also provide cover. Many thanks for your support and assistance. It was a shame that Grangewaters are no longer able through insurance restrictions to provide the customary buffet, but I am pleased to report that both Harvey and Yogi thoroughly enjoyed the sausage meat. Thanks to everyone that supported the weekend, and I hope to see many of you again over the season. Thank you for inviting me to judge this section. A great turn out with 26 lovely entries, across two swims. Nice to see a mix of young and older dogs taking part. The weather conditions were good. No major problems with any of the elements, all the dogs were keen to take part. Thank you to the test manager and all the stewards for all their help. As usual a well organised water test from the Grangewater Group, Well done Alan on your first go as Test Manager. We had 26 entrants with 25 passes, considering the overall young age of the group and the amount of training obtained this early in the season I found the standard to be higher than in previous years with a fair number of promising youngsters, it was a real joy to judge them. 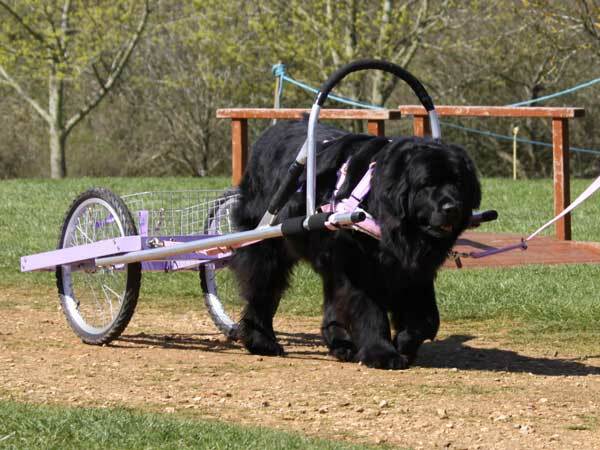 I must just mention that after the tests I discovered that one couple had travelled a nightmare 8 hour journey up from Devon to enter their pup who had only sea swam with them with no advantage of local clubs that could offer training, this Newfie obtained an excellent pass, I was so pleased. My thanks to my co-judge Paul Dickinson, I know he enjoyed it as much as I did, and to our stewards who all did a sterling job. A fine sunny day. We had ten entries, three very good passes, the other seven were all very good attempts and only failed on 1 element each; the most common one being the stranger. Many thanks to the SNC for asking us to judge, to test manager, Alan, all the stewards and the Grangewaters members. We had two entries today and one almost perfect pass. The other dog decided it was too early to wake up and swim! Our thanks to our stewards and to Team Grangewaters for organizing a great test, shame about the rain .... see you all next time. We judged 16 dogs with six passes, the conditions were ideal for the tests. Those that passed were lovely to judge, the majority that failed only need a little more training on some of the exercises. Thank you to the SNC for asking us to judge and thank you to all the stewards for all their help and assistance, also thank you to Grangewaters for keeping us watered and fed. We had nine entries overall today, with two very nice passes. Those that failed, mostly failed only one exercise, keep practicing, you will get there! Our thanks to our stewards today; to Team Grangewaters for looking after us and to our test manager, Alan, for sorting out the weather today and for organizing a great weekend.